Former President Goodluck Jonathan has insisted that he is not responsible for the kidnap of 276 students from Government Girls Secondary School, Chibok, Borno state, in 2014. Speaking in an interview with BBC, the former president urged Nigerians to blame Boko Haram for the abduction. Jonathan said: “I cannot take responsibility for the abduction; I don’t control Boko Haram. They are criminals. “But as a president, of course, you know it is not the president that goes to the field. You have security and intelligence officers that do the work. The former president, who accused the government of the US at the time of politicizing the Chibok issue, wondered why Michelle Obama, first lady of the US carried a ‘Bring Back Our Girls’ placard. “Immediately the Chibok issue came up, we expected Nigerians to be concerned about how to get these girls out. 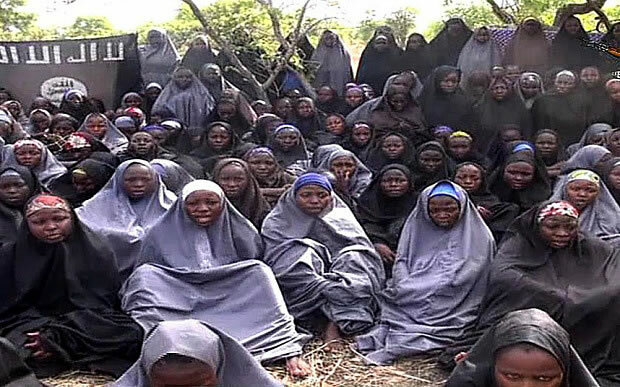 “Within a couple of days, we saw people going to the US with ‘Bring Back Our Girls’ placards. How? Why? And of course, Mrs. Obama received one of those placards,” he said.